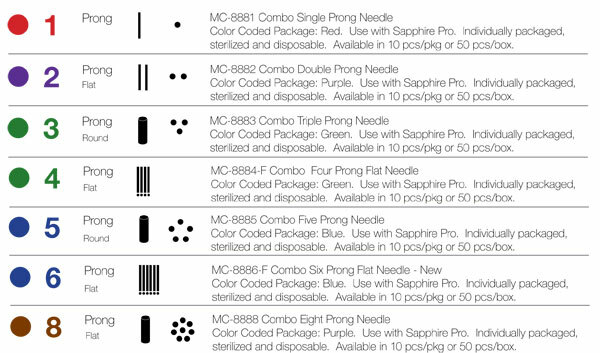 Individually packaged and designed for one-time use, this disposable 3-Prong Needle is for use with the Sapphire Elite, PRO and Sapphire 2000 Rotary Machines. Perfect for full lip and areola procedures, corrective pigment camouflage, eyebrow fill-in, skin and facial needling, tattoo removal, melanocyte restoration and scar relaxation. 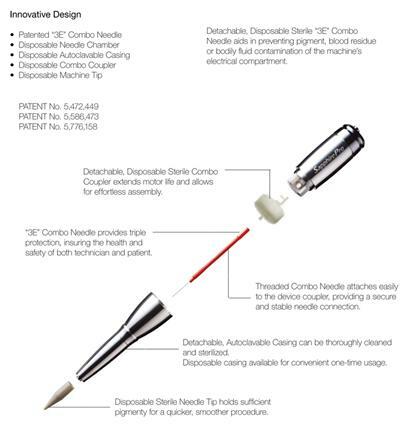 Truly a multi-purpose needle. Unbuffered gel for removal of the skin's dead and damaged surface cells. Select from 1oz., 4oz. or 32oz. bottles.